Four years ago I was sitting on a treatment room floor near the end of my ER shift. My four-legged patient was finally stable after his brush with a car earlier that night. I remember that moment specifically. A moment that would normally be filled with satisfaction and pride was instead filled with utter exhaustion. I’d been in the vet tech field for six years and was finally burned out. I didn’t want to stray too far from the veterinary field,however, and was very lucky that the perfect compromise fell into my lap. As a veterinary technician I had a number of pet-sitting clients, mostly families with special needs pets who needed that extra care and technical experience. After intense research, I realized that I could build a business that would fill a niche in my community. Shortly thereafter, A&R Critter Care, LLC (ARCC) was born. It was a trial by fire. I jumped off a ship of consistent work hours, steady pay, vacation, and sick time compensation to an enterprise that gave me no guarantees except that every decision would be mine, along with each success and failure. I had no business experience, but I was practical, organized, ambitious, and understood what pet families were looking for. 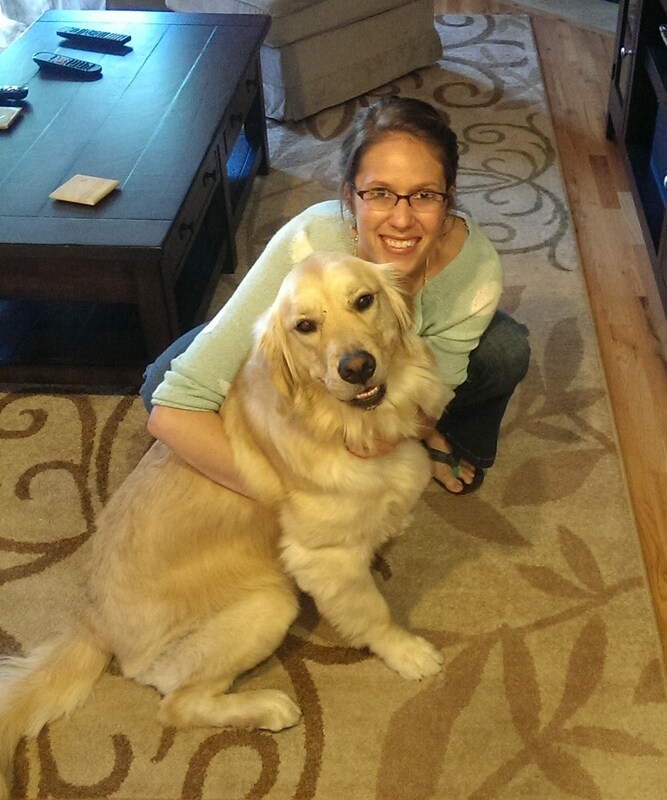 I networked with veterinary clinics to offer at-home educational sessions for newly diagnosed pets. I teamed up with other professional pet sitters to teach them basic first aid skills, as well as build my clientele of pet families. ARCC became the first professional pet sitting company in the USA to have a Fear Free Certified Professional. It was voted ‘Best of the Best’ in 2016 for pet sitting services in two different towns. I built a client list of over 300 families and did it all as a twenty-something solo entrepreneur. I turned 30 in 2017, and with that birthday came the aftermath of a divorce. What steady footing I felt I had was lost, along with my sense of direction. I wasn’t sure that I wanted to stay in Denver, let alone continue running my own business. At the perfect moment, an offer to buy ARCC fell into my lap. After some negotiation, we both walked away feeling like we’d won. What I realized was that, although entrepreneurship was an incredibly satisfying challenge, it was the marketing aspect of owning a business that I loved most. So the next logical step was to make a solid turn in that direction, building on the foundation I’d already created, and fill in the holes in my education. At this point, I had lived in five different states and traveled to 13 different countries. I knew I wanted to return to Denver, a city I both knew and loved. CU Denver was always on my radar. It had a great reputation and a perfect location in the middle of the city, connected with businesses of all types. The Business School, in particular, fell in line with my personal goals: study with motivated peers who already had experience to bring to the table and learn from professors that wouldn’t just throw textbooks at us and lecture. About to start my second semester in the MS in Marketing program, I’m grateful to have found both. I had a small epiphany in my first semester, another example that despite well-laid plans you never really know where life might take you. After so long in the veterinary field, I hadn’t really considered doing much else. I realized, however, that with the new direction I was going I could conceivably jump into any industry I wanted. I’d always loved theatre and Broadway, but I hadn’t considered the number of opportunities available backstage that would be a better fit. With this career change, not only could I make that jump, but potentially take it all the way to New York City’s Broadway scene. 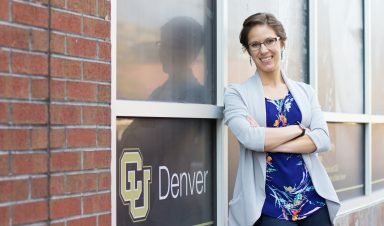 At CU Denver, I began talking to professors and the wonderful ladies at the Business Career Connections (BCC) office. They were incredibly helpful, giving me resources on extracurricular opportunities that could boost my digital marketing resume, as well as connections within their networks to professionals in the theatre industry. They also supported me as I networked on my own, trying to find ways to create my own experiences and internships that would teach me what I wanted to learn. Six months later, I’m getting ready to begin a marketing internship with Curious Theatre Company, a nonprofit, award-winning company whose mission is to engage the community in important contemporary issues through provocative theatre. And as a company with the philosophy of “no guts, no story,” I can’t imagine a better place that not only reflects the journey I’ve been on but also where I’m heading.